Nikki Bella sat down with John Cena to discuss their troubled relationship on Sunday's episode of Total Bellas. 'I will make that sacrifice for you. I will give you a child,' John promised. 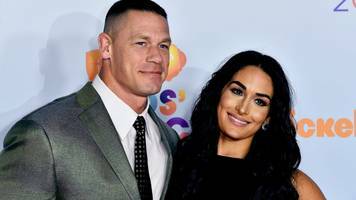 Wrestlers Nikki Bella and John Cena are said to be back together following their shock split [Getty] WWE star John Cena and his professional wrestler fiancee Nikki Bella are said to be back together..
Nikki Bella spoke about her cancelled wedding to John Cena. The star told Access that she put the wedding 'on pause' when the knowledge she was making a mistake 'literally was just eating me alive'. NIKKI BELLA has revealed she is living with sister Brie following her split with John Cena. Fans have been grappling with the shock news after the break-up was announced ahead of next month's planned ceremony in Mexico. 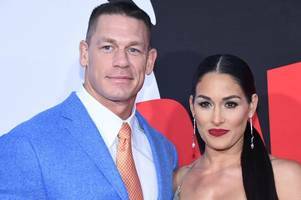 Professional wrestlers John Cena and Nikki Bella are over [Getty] WWE legend John Cena has announced his shock split with fiancee of one year Nikki Bella. 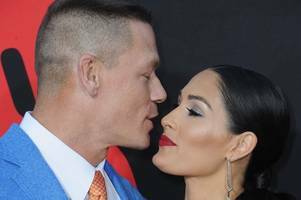 The hot couple were together for six years and..
JOHN CENA will NOT appear on RAW tonight following his shock split from Nikki Bella. John Cena and Nikki Bella have ended their year-long engagement. The pair, who got engaged at last year's WrestleMania, announced the 'difficult decision' to call off their engagement in a social media post. The couple are breaking up just weeks before they planned to get married. The actorcut a dapper appearance as he smartened up to whisk his fiancée Nikki Bella off for a romantic dinner following the action-packed award ceremony in Los Angeles.